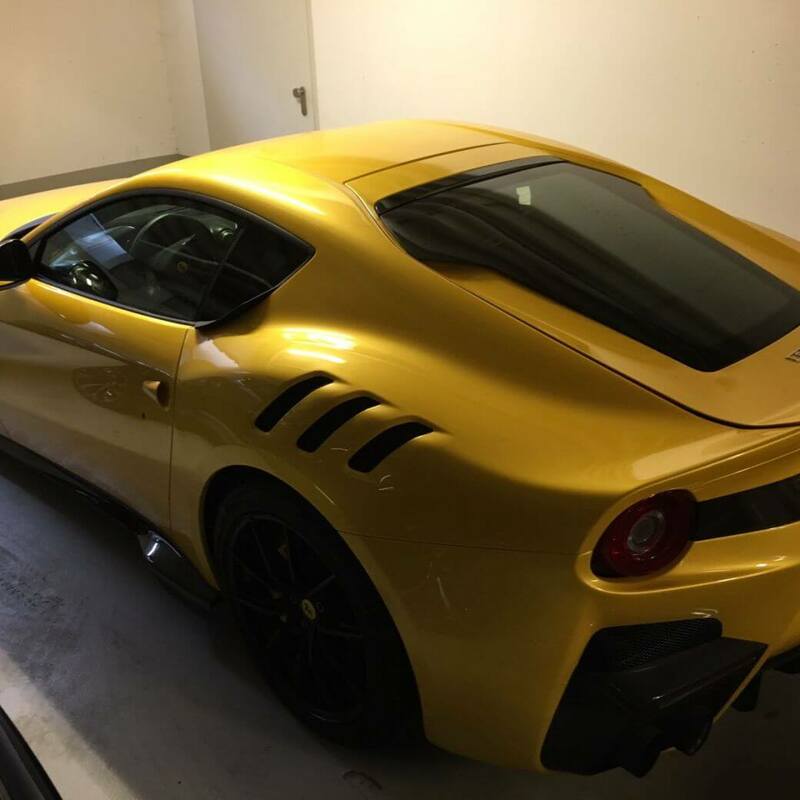 This is the F12 TDF – short for Tour de France. Effectively the successor to the 599 GTO, it’s a harder, faster, track-focused (but road-legal) iteration of Maranello’s front-engined V12, due to officially debut at the Ferrari World Finals in early November. Yes, the TDF is a little more powerful than the stock F12, but that’s the least of the news. The F12’s 6.3-litre V12 has been boosted from 730 to 769bhp thanks to race-spec tappets and variable geometry intake trumpets, that maximum power arriving at 8,500rpm before an 8,900rpm redline. The F12’s double-clutch box has been revised for TDF duty, with upshifts quickened by 30 per cent, and downshifts by 40 per cent. The front tyres are eight per cent wider, too. But the real excitement is in the aero department. At 124mph (200kmh), the TDF makes 230kg of downforce, nearly double that of the standard F12. As you’ll have spotted, the TDF gains some not-so-subtle aerodynamic devices to generate that negative lift: a bigger splitter, dive planes and floor wings, along with those ‘Aerobridge’ additions just behind the front wheels.